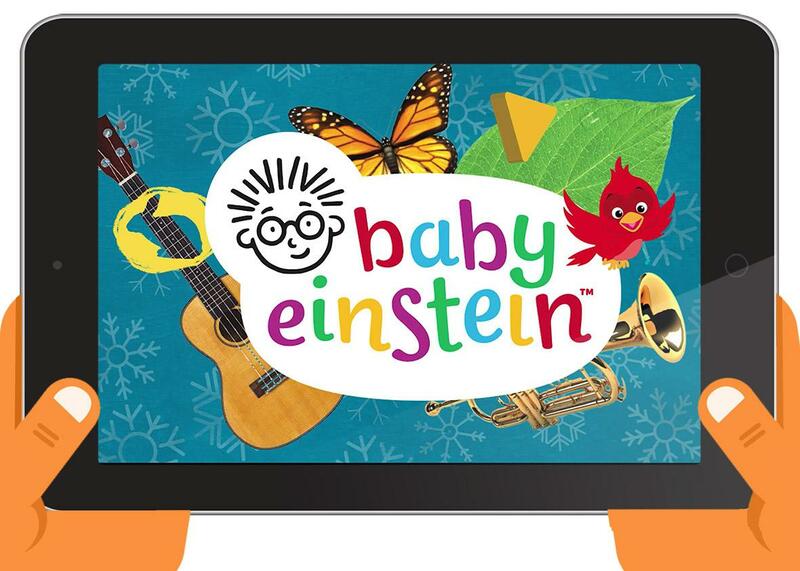 The rise and fall of Baby Einstein. Photo illustration by Slate. Photo by Baby Einstein/YouTube. In 1996, Julie Aigner-Clark was a stay-at-home mom in Colorado frustrated by a lack of sufficiently educational entertainment for her 18-month-old daughter. She shot the first Baby Einstein video in her own basement with a borrowed camcorder, a few puppets, and an $18,000 budget. Five years later, she sold the company to Disney for a reported $25 million. Aigner-Clark appeared on the Oprah Winfrey Show, and President Bush praised her as representing “the great enterprising spirit of America” in a State of the Union address. In 2009, however, the jig was up: Disney was forced to admit that the videos had no educational value and offered full refunds to parents who had bought them. What a dramatic rise and fall! It was like something out of Baby Shakespeare. For millions of parents, that theory made intuitive sense—or at least, they were eager for it to make sense, since the videos were also dynamite babysitters. Baby Einstein’s website featured testimonials from parents who gushed about their children’s obsession with the series; one mother proudly reported that her 20-month-old son watched the videos up to 10 times a day. It’s hard to overstate how thoroughly Baby Einstein dominated the screens of family homes with small children in its first few years. By 2002, Baby Einstein videos were “mesmerizing babies across the country,” one newspaper profile reported, “and turning that cranky hour at the end of the day into a more peaceful time.” According to one study cited by the New York Times, a third of all American babies between 6 months old and 2 years old had at least one of the company’s videos. In retrospect, this was a golden era of screen time for the very young. Producers were offering increasingly sophisticated products targeted specifically at very young children. Teletubbies, a show intended for children as young as 1, premiered in the United States in 1998. Other productions made explicit claims that they would make babies smarter. “It’s true!” the Baby Genius series reassured parents, “Classical music and powerful images stimulate your child’s brain.” Your Baby Can Read!, a $200 program of DVDs and books, promised that children as young as 9 months old could be on their way to literacy. There wasn’t much pushback on this from experts. The American Academy of Pediatrics’ first recommendations on children’s TV consumption, published in 1999, sounded a cautious note about kids under 2 but didn’t forbid it. It was the Wild West of babies staring at screens. The Baby Einstein glow began to dissipate by the mid-aughts as studies doubting their efficacy started to roll in. For every hour a day that babies watched Baby Einstein videos, they knew 6–8 fewer words than their peers. Watching “Baby Wordsworth” did not improve 1- and 2-year-olds’ language development. The earlier a child started watching Baby Einstein videos, in fact, the smaller his vocabulary. The writing was on the wall, and even a baby could read it. An advocacy group complained to the Federal Trade Commission in 2006, prompting Baby Einstein to drop the word educational from their advertising. A few years later, the group threatened a class-action lawsuit, citing estimates that Baby Einstein products represented 90 percent of the “baby media” market. Under pressure, Disney announced it would offer refunds of up to $16 for up to four DVDs per household, which many interpreted as a tacit admission that the videos were not producing Einsteins after all. The refunds were estimated to cost the company $100 million. (The FTC also successfully filed suit against Your Baby Can Read! in 2012. Your baby could not, in fact, read.) Disney sold Baby Einstein in 2013 for a presumably much less astronomical cost, and the brand still exists as a purveyor of toys, walkers, bouncers, baby mats, and other analog baby products. Aigner-Clark and her husband sued the researchers who published the most explosive debunking of their claims, saying they wanted to acquire the raw data in at attempt to clear her legacy. The idea that a vaguely highbrow video can make a child smarter now sounds like a kind of old-timey tech utopianism, like the idea that social media would democratize the flow of information and unite people around the globe. The question now is not whether screen time might make your babies brilliant but whether it actively harms them. Twenty years after Aigner-Clark sold her first Baby Einstein video, there’s remarkably little real-life consensus. The AAP has tweaked its recommendations several times, with the latest guidelines allowing that FaceTime is OK for babies less than 18 months old and that toddlers can benefit from educational media if parents are next to them while they watch. We’re still figuring this stuff out. With gruesome imitations of popular kids’ shows looping on YouTube and toy companies trying to push “tabletop digital nannies” for kids’ rooms, the worst-case scenarios for kids and screens have gone way past These cute videos might not boost my infant’s IQ. While Baby Einstein may have overpromised, in retrospect, anodyne puppetry set to synth-y Mozart doesn’t look so bad.